Everything started in 2012. Studying a BA in Literature and Modern Languages often offers you the chance of studying a year abroad as an Erasmus student. Since I always had this huge passion for Spanish I chose Spain for my year abroad and I must say I couldn’t have chosen a better place. My former university sent me to Granada which has become afterwards my favorite place in Spain. While an exchange student in Spain, I attended an education fair and this is how I found out that I might be eligible for an Erasmus placement as well. I remember I emailed my home university asking for some more information and when they confirmed me that indeed I was eligible to apply for an Erasmus placement as well I started the research right away. Therefore after finishing with my exams in Spain I flew straight to Malta which is where I found the internship I was looking for. Back then there wasn’t any erasmusintern.org website with internship offers for Erasmus+ students as it is today so I had to research everything by myself. But the overall experience paid off all the effort. I brushed up on my Spanish by studying and living in a Spanish speaking county and got the professional experience I was looking for at that time, all in one single year. My final year went smoothly. As every student I focused most of my efforts on studying and trying to figure it out what I would do next. Again like most of the final year students I had no idea of what I wanted to do after graduation. So I tried to find a way to go abroad again. And I found it. 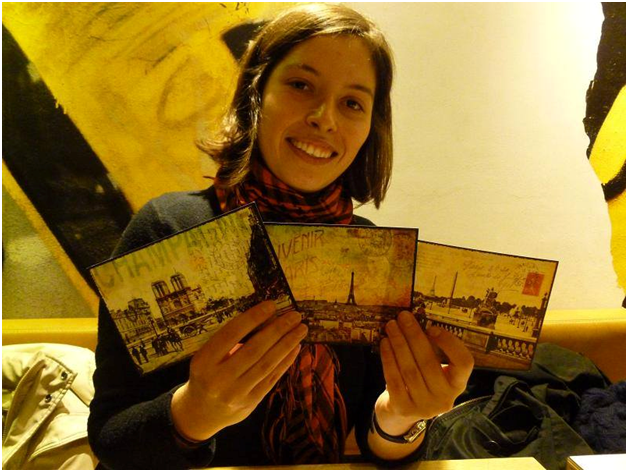 The difference was that this time I chose France and a graduate programme called Eurodyssee. This is how I ended up living in this beautiful region of Franche-Comte in a city as beautiful as Granada was called Besancon. After finishing my Eurodyssee I looked for a new opportunity to prolong my staying in France and I was lucky enough to find a national volunteering scheme called Service Civique. That’s how I continued living in France for more than a year now. What did I make out of all this experience? Well plenty of things. I have so many memories and adventures to talk about that I do not even know what to start with. First of all I learnt that traveling and moving to a new country is not just holiday. Sometimes it pushes you out of your comfort zone which makes it both a challenging and a rewording experience. After my experience abroad I became more independent, more organized and more sure of who I am and what I am capable of. I adapt easier and faster, I am more confident and I know I speak better Spanish and French. Plus I got some serious international experience in my CV which I am sure will make me stand out from the crowd when applying for jobs. And the best part is yet to come. I made friends all over Europe and they all invited me to pay them a visit whenever I’ll go abroad again. Connecting with people, exchanging ideas, getting to know other cultures are one of the things that really matter to me now mostly because of my living abroad experience. This is why I would encourage everyone having this type of opportunity to just go for it. We are very lucky to have access to such programmes across Europe. We should take advantage of any chance of traveling because at the end of the day I find my memories and all the places I have been to so far my most valuable things over any other things I could have or buy.